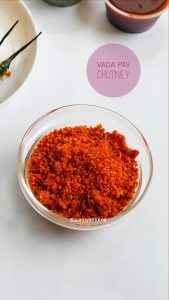 Dry garlic chutney / Vada pav chutney is a spicy and very flavorful powder that is used in making vada pav. 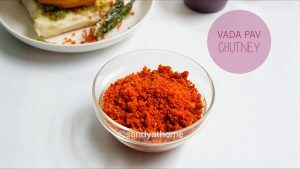 This particular chutney/ powder makes the vada pav extremely delicious and makes it very flavorful as well. Anyone who likes garlic will surely fall in love with this garlic powder for its flavors and taste. 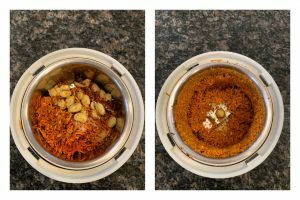 So here is a step by step direction of chutney recipe that I know to make and you know well the next post shall be vada pav, so stay tuned. So let’s get to the making! 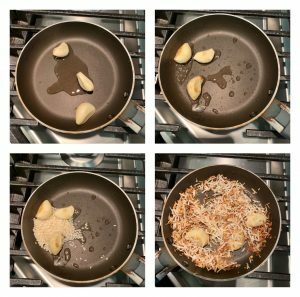 Heat oil in a small pan, add garlic and roast it well in low to medium flame until you see brown spots on it or till aromatic. Now to the roasted garlic add sesame seeds roast it for few seconds then add desiccated coconut and roast it until slightly brown/ aromatic. Now add red chilli powder, salt and switch off the flame roast it for few seconds and then transfer it to a blender for it to cool down. Now in the same pan add peanuts (without skin) and dry roast in low to medium flame. When you see brown spots on the peanuts switch off the flame and add it to the blender. When the mixture has completely cooled grind it well. 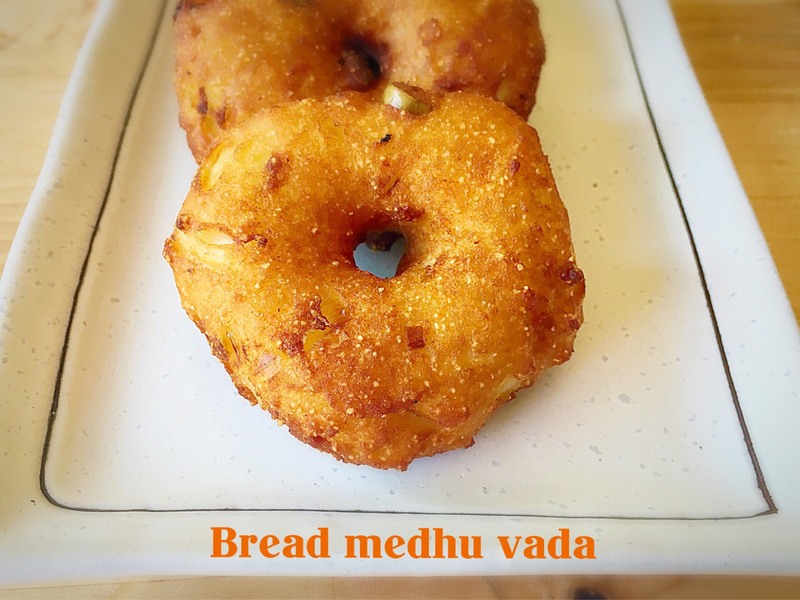 Serve the powder with vada pav. 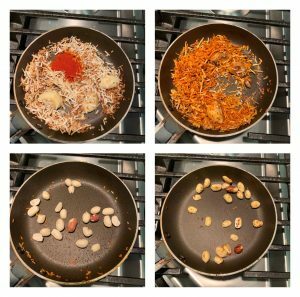 Heat oil in a small pan, add garlic and roast it well in low to medium flame until you see brown spots on it or till aromatic. Now to the roasted garlic add sesame seeds roast it for few seconds then add desiccated coconut and roast it until slightly brown/ aromatic. 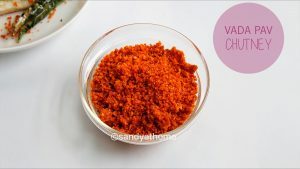 Now add red chilli powder, salt and switch off the flame roast it for few seconds and then transfer it to a blender for it to cool down.Now in the same pan add peanuts (without skin) and dry roast in low to medium flame. When you see brown spots on the peanuts switch off the flame. Now add the peanuts in the blender along with other ingredients. When the mixture has completely cooled grind it well. Serve the powder with vada pav.